After seven years in development, ICON Aircraft delivered its first production plane in 2015. The brand needed a big splash from influential national outlets to create buzz in the marketplace. Media interest in demo flights has been strong since the concept was launched in 2008. 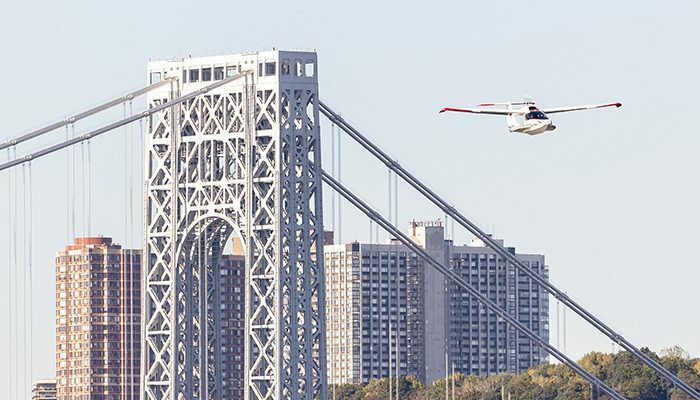 We recommended taking advantage of the pent-up demand with a New York City showcase event that included media flights around the city. The Brand Amp was able to secure a list of 20 marquee appointments highlighted by The Wall Street Journal, Wired, Bloomberg, Popular Mechanics and The Today Show. Each outlet received the white-glove treatment that included individual appointments with ICON’s CEO and thrilling flights that included water landings and low-level passes of the Statue of Liberty. As expected, once the media actually flew in the A5 their passion transferred into strong coverage. ICON received extensive coverage from each outlet including a seven-minute segment on the Today Show with the A5 on set in Rockefeller Plaza, a cover and two-page story in the Wall Street Journal, prime coverage in the first print edition of Gear Patrol and a feature in the final issue of Details Magazine.